Introducing amazing Misguided brush font in three versions. Perfect for branding designs, ads, posters etc. This file is no longer avaliable. File format: .ttf for Photoshop or other software. 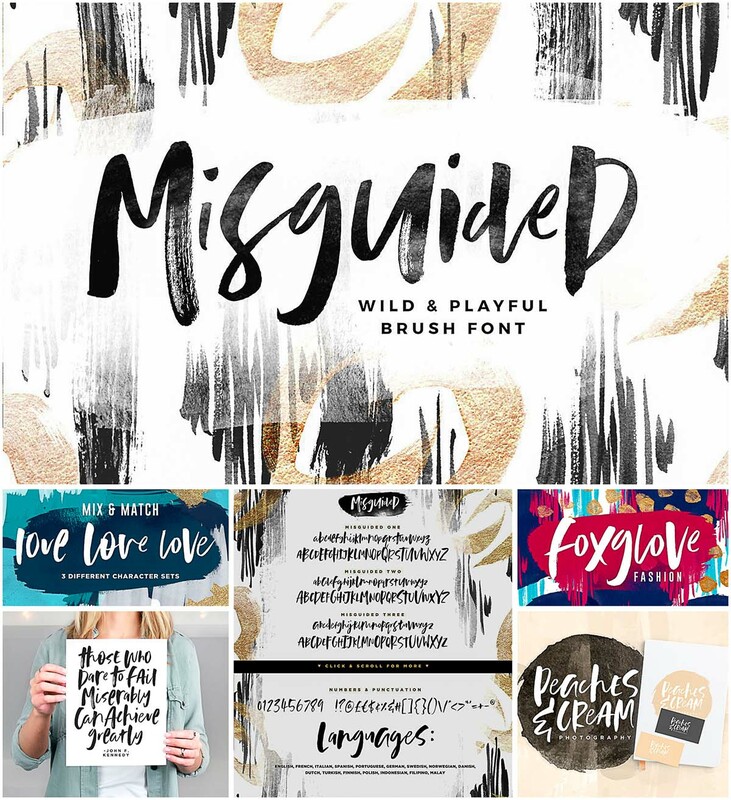 Tags: bold, brush font, casual, hand lettered, modern calligraphy. please check the download link. there’s no link for download. thank you. anyway freebies are so good. thumbs up!